(AMERICAN INDIANS.) Banta, S.E. 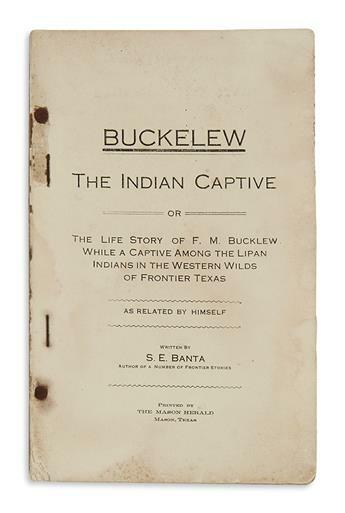 Buckelew, the Indian Captive . 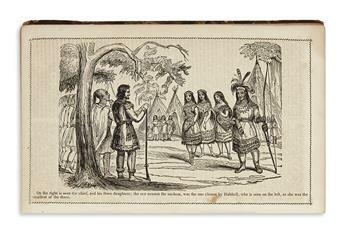 . . among the Lipan Indians in the Western Wilds of Frontier Texas. (AMERICAN INDIANS.) 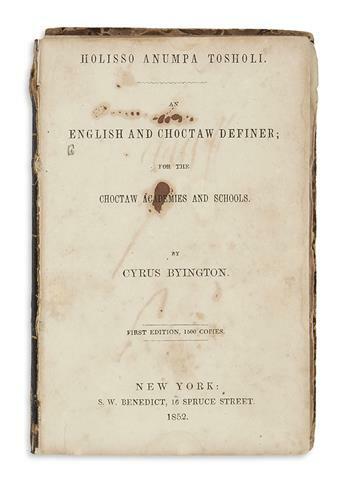 Byington, Cyrus. 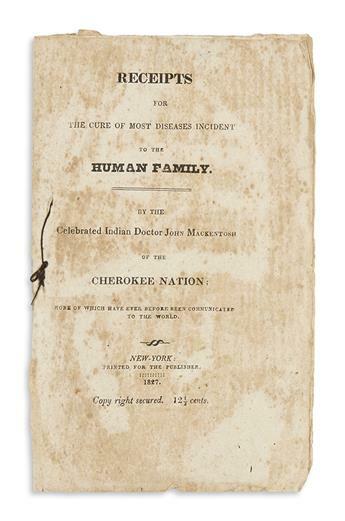 Holisso Anumpa Tosholi: An English and Choctaw Definer for the Choctaw Academies and Schools. (AMERICAN INDIANS.) 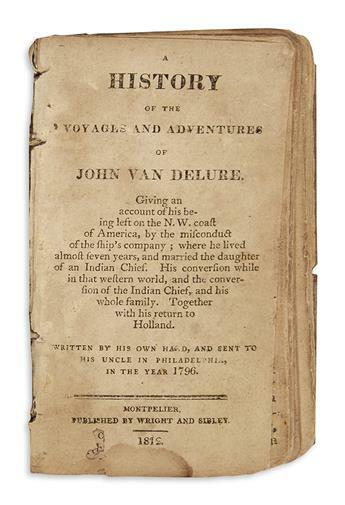 A History of the Voyages and Adventures of John Van Delure. (AMERICAN INDIANS.) Nelson, William. 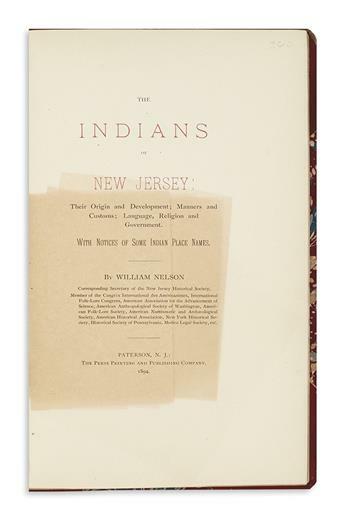 The Indians of New Jersey. (AMERICAN INDIANS.) Occom, Samson. 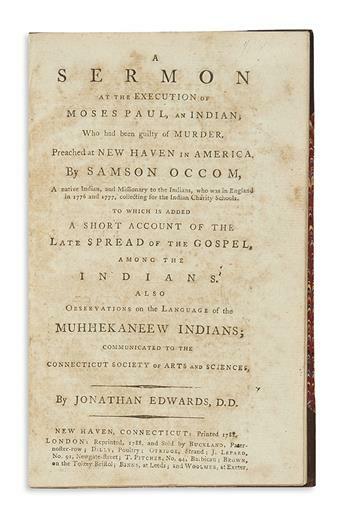 A Sermon at the Execution of Moses Paul, an Indian; who had been Guilty of Murder. (AMERICAN INDIANS.) Williams, Eleazer. 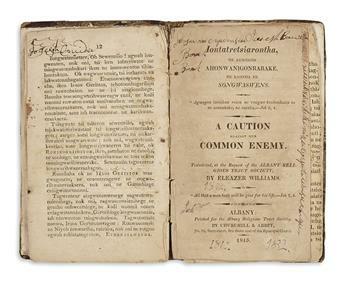 Group of Iroquois religious tracts by a renowned Mohawk missionary. (AMERICAN INDIANS.) 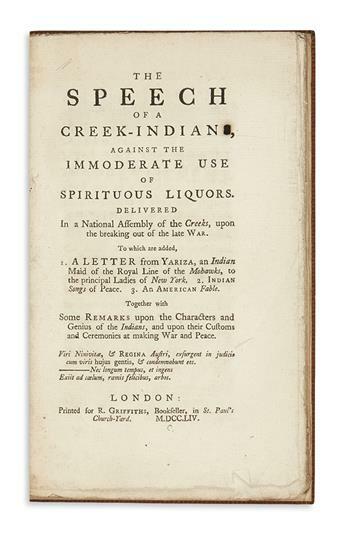 The Speech of a Creek-Indians, against the Immoderate Use of Spirituous Liquors. (AMERICAN INDIANS.) 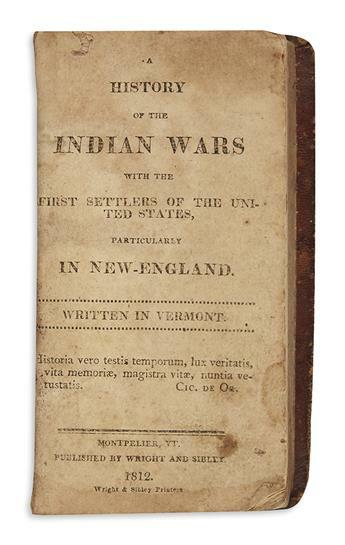 [Sanders, Daniel C.] A History of the Indian Wars with the First Settlers . . . Particularly in New-England.